Motor vehicles running on conventional fuels are a significant source of air pollution, accounting for about one-third of the total particulate matter pollution in India. 'New Delhi's air quality falls as winter arrives.' 'Air quality dipping rapidly, Delhi government issues health advisory.' 'Delhi smog: Trucks, heavy vehicles banned from entering state'. News stories related to air pollution and surrounding crisis in the National Capital did the rounds in the recent past. Air pollution levels are increasing by the day, not just in New Delhi, but across all major cities in India. According to 2017 Global Burden of Disease study, approximately 1.1 million people die in India each year from diseases directly related to air pollution. Though per capita emission in India is low as compared to developed economies, they are poised to increase multi-fold as we are expected to have nearly 200 million vehicles on road by 2030. Clearly, the need of the hour is to go in for cleaner vehicles. The challenge is how do we build cleaner vehicles that are affordable, cognizant of India’s energy security and keeping India-specific needs in mind so that we could make and have electric vehicles (EVs) adopted in large volume. The electric mobility trend has already kicked off across the globe with China and USA taking the lead. According to a McKinsey research, Chinese OEMs manufactured 43 percent of the 0.87 million EVs built worldwide in 2016, taking the first spot. Electric mobility in India is still at a nascent stage. The Indian government has set an ambitious vision to achieve electric mobility by 2030 and is working on building a conducive environment. There are many attempts being made by automotive OEMs and technology companies to bring various types of EV technologies. The move towards electric mobility with Battery Electrified Vehicles (BEV) is emerging as a key direction. Following the global trend, lithium-ion batteries have emerged as the primary battery technology being used in EVs. It is estimated that demand for lithium-ion batteries from India is projected to grow at a CAGR of 33 percent by volume from 2017-2030. We would require about 40,000 tonnes of lithium to manufacture EV batteries in 2030. Currently, over 90 percent of global lithium production takes place in Australia, Chile, Argentina and China. India is short on natural reserves of lithium and will need to be largely dependent on imports to cater to this demand. Considering battery packs account for over 40 percent of the vehicle cost, the import situation will cut us short of making EVs a very attractive proposition. Today, over 90 percent of global lithium production happens in Argentina, Australia, Chile and China. We have witnessed a two-fold increase in lithium prices from $4,390 per tonne (in 2013) to $9,100 per tonne currently – owing to growing interest in e-mobility. As lithium imports are expected to replace oil imports, the odds are heavily stacked in favour of lithium-producing countries to form an association and call the shots for export prices and restrictions. 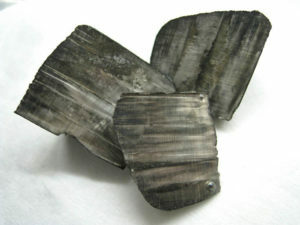 It is imperative India looks at earth-abundant materials like manganese, sodium, iron and develops battery chemistries to avert excessive dependence on lithium (above). It may not be sustainable to have large battery packs for vehicles that run long distances between cities and are used for commercial applications. We will need to look at hydrogen and Hydrogen Fuel Cells (HFC) for long-distance applications. Building a base for Hydrogen Economy. . .
Hydrogen, the most abundant element on our planet, is an alternative fuel that has very high energy content by weight. It is locked up in large quantities in water, hydrocarbons, and other organic matter. Hydrogen can be produced from diverse, domestic resources including biomass or agricultural waste; water electrolysis with wind, solar or grid electricity. Toyota is participating in the ‘Accelerating the Development and Commercialisation of Fuel Cell Vehicles in China’ project, and will carry out demonstration tests on the Mirai FCV for three years between 2017 and 2020. A hydrogen fuel cell is a device that generates electricity by a chemical reaction between hydrogen and oxygen. The major advantage of hydrogen fuel cell technology is that it only emits water as a byproduct and doesn’t require any additional input. It can be used for long-distance transport without re-fueling. Making sources of hydrogen more accessible, available and affordable for developing other technologies. India generates over 600 million tons of residue / agricultural waste, which can be used to generate hydrogen by breaking it down. This hydrogen, if used in FCEVs (fuel cell electric vehicles), has the potential to truly deliver 100 percent emission-free transportation. Developments are already underway as certain efforts from OEMs and technology companies are being made to develop HFC-based transport methods. With technological advancements, the challenges associated with onboard storage of hydrogen, durability, reliability and costs of hydrogen fuel cells will be mitigated. Developments in electrification and other clean technologies are the answer to India’s dream of clean-green transportation. Development of BEVS – lithium ion/ other alternative chemistries and FCEVs for various applications is what we should all focus on – this will help us build a future we want. We at KPIT are very passionate about contributing to the green automotive era. Our indigenous Revolo technology product indigenous Revolo technology product line is one such effort and is poised to make an impact in the public transportation space. Let us all use clean transportation, encourage and adopt new technologies and play our role in ushering in a green automobile era.